A joint session of Parliament was held on Thursday to discuss rising tension with India in the wake of the Pulwama attack and subsequent airstrikes by both countries. Prime Minister Imran Khan, who was the first to speak, thanked the opposition for standing by the government "at a time when Pakistan is facing an external threat". Talking about the ongoing tensions between Pakistan and India, the prime minister said that despite his government's multiple overtures of peace, the response from New Delhi had not been encouraging. "We realised that it was because of upcoming elections in India," he said and added that the government decided to wait until the polls in India were over before making another offer for talks. However, he disclosed, he had "feared they (India) would do something". He told the Parliament that after an Indian aircraft violated Pakistan's airspace in the wee hours of Tuesday, he had a meeting with Army Chief Gen Qamar Javed Bajwa where it was decided that Pakistan will not respond straightaway. "We realised that Pakistani people might get upset that we did not respond, but we (army chief and premier) decided that since we did not know if there were any casualties, in case of an immediate response there will be escalation." "The only purpose of our strike was to demonstrate our capability and will," said PM Khan while addressing the House. "We did not want to inflict any casualty on India as we wanted to act in a responsible manner." The Pakistan Air Force (PAF) on Wednesday — a day after India violated the Line of Control (LoC) — undertook strikes across the LoC from Pakistani airspace. PAF shot down two Indian aircraft inside Pakistani airspace, with one aircraft falling inside Azad Jammu and Kashmir. One Indian pilot was arrested by troops on ground, the Army's media wing had said. PM Khan said he tried to call Indian PM Narendra Modi on the phone yesterday because "escalation is neither in our interest nor in India's". "Do not take this confrontation further," the premier said, addressing the Indian leadership. He warned that whatever action New Delhi decides to take in the future, Pakistan will be "forced to retaliate" to it. He lauded the Pakistani media's coverage of events over the past three days, saying that the reporting was "responsible" and "mature". "But it was upsetting to see the warmongering done by the Indian media," the premier said. "It's because our media has seen the dead bodies and bloodshed that results from terrorism. If [the Indian] media had seen what our journalists have witnessed over the past 17 years, they would not have created this war hysteria." The premier, before Leader of the Opposition Shahbaz Sharif started his address, announced that the captured Indian pilot will be released tomorrow [Friday] as a gesture of peace. 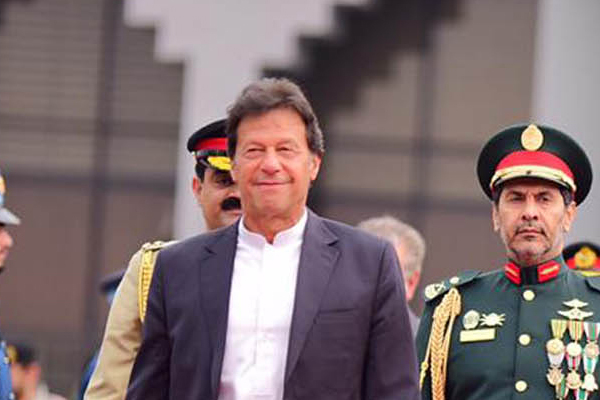 "In our desire for peace, I announce that tomorrow, and as a first step to open negotiations, Pakistan will be releasing the Indian Air Force officer in our custody," PM Khan said, adding that Pakistan's efforts for de-escalation should not be construed as a "weakness". A day earlier, the top political leadership of the country was given an in-camera briefing at Parliament House.